Krug was looking for creative ways to inform people about what farmers do and how they are being good stewards of the land. “A great many people had no connection with the farmers,” she said, “even people who lived next door to a farm.” Her solution was to organize a committee to educate the public. 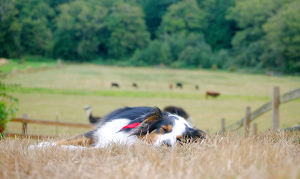 Thus was the first Whidbey Island Farm Tour created in 2006, through the joint efforts of the newly formed committee and the Whidbey Island Conservation District, a group that was chaired by Krug. The concept from the beginning was that the tour would be free, so that it would appeal to families. 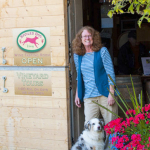 Initially, Spoiled Dog Winery was the major financial supporter of the event with the Conservation District and WSU Extension as contributors in-kind. In ensuing years, however, additional sponsorships and grants have been obtained from the Port of South Whidbey, the Lodging Tax Advisory Committee, Coupeville Port, Whidbey News Group and many area businesses listed on the farm tour website. In addition to the pinot noir grapes they grow for some of their wines, the 25-acre Spoiled Dog farm is home to llamas, cows, horses and chickens. Krug noted that most of the people who visited before the tours began were unaware it was a traditional farm that includes the vineyards. 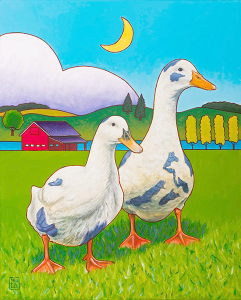 Visitors usually meet Blue or Sami and quickly understand the name for the farm and the winery. In partnership with the Whidbey Island Conservation District, the annual Farm Tour has continued to thrive and grow. 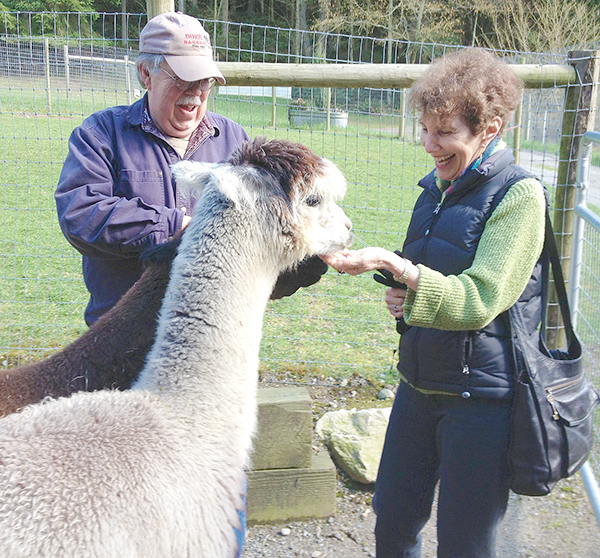 The current Chairperson of the Farm Tour is Hal Schlomann who, with wife Gretchen, owns Fern Ridge Alpacas. Sarah Cassatt of the Conservation District is this year’s Administrator of the Farm Tour. Saturday and Sunday, Sept. 20 and 21. Schlomann said he appreciates that the tour is a cooperative effort. “The committee provides help, enrolls sponsors for the tour, coordinates the event with the participating farmers and distributes promotional materials. He also admitted he gets great pleasure showing visitors how to bump noses and make friends with an alpaca. With the growing popularity of the “Buy local” movement on Whidbey, there is also an increasing awareness of the value and quality of locally grown and raised products that are available here at the farmers’ markets and in the local grocery stores. This year’s Farm Tour includes 14 participants, whose farms vary widely in appearance and in the types of produce being raised; the map of the tour participants also lists the eight farmers’ markets that run the length of the island. So if you don’t know about the variety of produce (vegetables, berries, lavender, grapes, flowers and trees) livestock (cows, sheep, goats, chickens, turkeys, alpacas, llamas and horses) water produce (mussels) and fiber that comes from Whidbey Island, the Farm Tour this weekend invites you to learn and be dazzled. 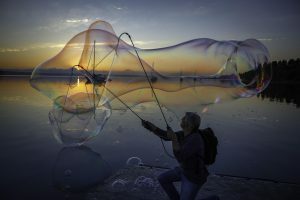 Carolyn Tamler was a marketing research and community involvement consultant in the Seattle Area for many years before moving to Whidbey Island, where she has become known as a writer who enjoys telling the stories about the many businesses and entrepreneurs on the island. I remember sitting at that table with Karen back in 2006 🙂 The Farm Tour seemed like such an obvious thing to to on behalf of our local farms – and thanks to her vision, it came to life! As individual farms and organizations (I was with WSU Extension at the time and we were really struggling with county budget cuts), none of us had much in way of financial resources to pull it off. But together? It worked! We worked! A big thank you to Karen, and all of the folks who continue to keep the Tour vibrant. And here’s to our small farms and the locally grown goods they provide for us.